NEHRUVIANDOOM is Bishop Nehru’s debut album. Produced by Metal Fingers and featuring MF DOOM vocals on several tracks, it’s a compact nine track, 30 minute long player. Bishop Nehru’s breakthrough mixtapes, released from the age of 15 saw him rhyming over DOOM produced instrumentals. DOOM joined the line of MCs who co-signed the young rapper including heavyweight lyricists Kendrick Lamar and Nas, who introduced him on stage during his set at SXSW as “The future of music”. Still only 17, Bishop has wrapped up his debut album for Lex, a collaborative project with MF DOOM. 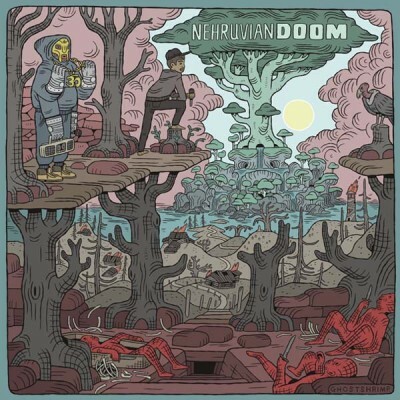 5 comments "Bishop Nehru & MF DOOM – NehruvianDOOM (CD) (2014) (FLAC + 320 kbps)"